On his thirteenth birthday, Cesar receives a piano from his father and starts playing by ear, never having studied music. Nine months later (June 1957), the American trombone player, Melba Liston, invites Cesar to participate in her concert at a jazz club in Rio de Janeiro, and he appears in a special program on Rio's Globo Radio called "The Boy Prodigy Who Plays Jazz." This same year, Cesar meets Johnny Alf, who comes to live with Cesar's family due to the great friendship and warmth among them. Together at the family home in São Paulo, Cesar becomes familiar with secrets of arranging, composing, and the arts of cinema and theater, thanks to Johnny's encouragement. Studying with his father, a music teacher, Cesar starts to try to learn the theory behind the things he plays and hears. About two years of frustrating attempts follow. Cesar continues playing by ear, forming amateur instrumental and vocal groups, when TV-Record in São Paulo invites him for a special called "Passport to Stardom," which recounts the story of his life and in which he plays for an hour with a trio. In 1958, Nat "King" Cole comes to Brazil for the first time. Cesar is hired to make the "live" TV commercial announcing Nat's shows, with his arms and hands painted. When Nat sees the commercial on TV, he is very impressed with the performance of this youngster. Cesar gets invited to try out for William Furneaux's orchestra. In spite of not knowing how to read music, Cesar is accepted by Furneaux, and plays at dances and balls three or four days a week. Thus, not even sixteen years old, Cesar becomes a professional musician. In his spare time (he also studies and works in a bank), Cesar forms a quartet with some amateur musicians: Theo de Barros (bass), Flavio Abattipietro (trumpet) and José Luis Schiavo (drums). They play at clubs and parties in São Paulo. Maestro, arranger and bandleader Enrico Simonetti hears the quartet, and because of commitments for 160 balls that year (1962), invites Cesar to put together a larger group. Cesar forms a group called "Três Americas" ("Three Americas"), and they become the most important dance band in Brazil. Cesar works with this band for three years, gaining experience with arranging and with the art of accompanying singers of Brazilian and international popular music. During this period, Cesar is also called to play at "A Baiúca," an important jazz and Brazilian music venue in São Paulo. It's the start of the most important cultural movement in Brazil: Bossa Nova. At Baiúca, Cesar forms the "Sabá Quartet," with Sabá Oliveira (bass), Hamilton Pitorre (drums) and Theo de Barros (guitar), and for two years, they are the main attraction there. This same year, Cesar is invited by Mocambo/RGE record company to produce and arrange an album for singer Claudete Soares ("Claudete é Dona da Bossa"), and the following year (1963), records his first [solo] album with the same company, "Quarteto Sabá." He also participates in various important cultural events and establishes himself as a leading Bossa Nova arranger and pianist. Together with Airto Moreira and Humberto Clayber, Cesar forms the "Sambalanço Trio" (1964) and they inaugurate a new club called "João Sebastião Bar" in São Paulo, which becomes the "Temple of Bossa Nova." Several months later, at this same club, Cesar meets American Lennie Dale, choreographer, dancer and singer, recently arrived from Broadway. In conjunction with director and theater writer Solano Ribeiro, they stage the first bossa nova theater show. Consecrated by the critics and the public, the show plays for eight months in São Paulo and eight months in Rio de Janeiro as well. They record an album of the show, "Lennie Dale & Sambalanço Trio no Zum-Zum" and receive a prize from the newspaper "Jornal do Brasil" for best album and best show. The Sambalanço Trio come to have an important national presence and between 1965 and 1967, they record three albums on the RGE label. Still in 1967, Cesar has his first experience with a full orchestra. Although he doesn't know orchestration, he studies on his own, and writes twelve arrangements for singer Marisa Gata Mansa. Next, he makes an instrumental album, using the Sambalanço Trio plus five brass, "Octeto Cesar C. Mariano," which is considered a landmark in the fusion of Jazz and Bossa Nova in Brazil. In 1968, Cesar meets Wilson Simonal and becomes his producer, arranger and musical director of his shows. Cesar forms the "Som Três" (with Sabá Oliveira on bass and Toninho Pinheiro on drums), as the basis for this work with Simonal. Cesar signs a contract with TV-Record [in São Paulo] as musician and arranger and through 1970, records three more instrumental albums with this new trio for RGE. In 1969, Cesar participates in the "Festival of Black Arts" in Senegal, Africa, with the singer Elizeth Cardoso and the "Som Três" trio. Cesar embarks on his career as arranger and producer, working with various artists in Brazilian popular music (such as Chico Buarque, Elizeth Cardoso, Edu Lobo.). Cesar also participates as a juror in the acclaimed music festivals run by TV-Record. In 1971, Cesar is invited by Elis Regina to direct, produce and arrange her new show at the Teatro DA Praia in Rio and her new album for PolyGram,"Elis" He puts together a new quartet with Luisão Maia (bass), Helio Delmiro (guitar) and Paulinho Braga (drums). This would be the first of a series of thirteen albums with Elis Regina. In 1973, Cesar works as musical director, arranger, and pianist (with the same quartet) for Elis Regina and Michel Legrand, in a TV special for SudwestFunk-Television in Germany, which took first place in the European "TV Specials Festival." During this decade, Cesar basically dedicates himself to working with Elis: he produces, arranges and directs the singer's great albums and shows in Brazil and abroad (such as "Falso Brilhante" ("False Jewel") which runs for a year and a half at the Teatro Bandeirantes in São Paulo; "Transversal do Tempo," which tours for two years throughout Brazil; and "Saudade do Brasil," playing six months at Canecão in Rio. They also collaborate on concerts (e.g., the Montreaux Jazz Festival, the Switzerland Jazz Festival, and "Live Under the Sky" in Japan), as well as fourteen albums, some of which are truly historic (e.g., "Elis & Tom"). In 1978, Cesar produces and directs his first show of instrumental music , "São Paulo Brasil," a suite he composed in honor of his native city, which plays for two months at the Teatro Bandeirantes there. Cesar is joined by the same band that played with Elis: Nathan Marques (guitar), Wilson Gomes (bass), Crispin del Cistia (guitar and keyboards) and Dudu Portes, (drums and percussion). In this same decade, Cesar comes to specialize in music for advertising, cinema and theater. He receives eight "Clios" (the "Oscars" of the advertising industry), and wins various prizes from the Paulista Association of Art Critics (APCA) as musician, composer, arranger and producer in the area of records and shows. In 1980, with basically the same band and several invited musicians, Cesar records his tenth instrumental album for EMI-Odeon: "Cesar C. Mariano & Cia." During the recording sessions, they receive a visit from one of the foremost directors in Brazilian cinema, Arnaldo Jabor, who invites Cesar to compose and record the sound track for Jabor's next film, "Eu Te Amo" ("I Love You"). Just after having produced and arranged what would be Elis Regina's last album, "Vento de Maio" ("May Wind") for EMI Odeon (1981), Cesar invites his great friend and partner Helio Delmiro to make the album "Samambaia," a duet for piano and acoustic guitar, today consecrated by critics and musicians from all over the world. Interested in further developing his technique as a pianist, Cesar begins to perform solo piano concerts throughout Brazil and Latin America, while still continuing his work as arranger and producer for Brazilian popular singers (such as Gal Costa, Maria Bethania, Simone, Rita Lee, and others). In 1982, Cesar is invited by another great Brazilian filmmaker, Bruno Barreto, to compose the soundtrack for Barreto's film, "Além DA Paixão" ("Happily Ever After"). In 1982, Cesar goes to Los Angeles, California to record another album, "A Todas as Amizades" ("To All Friendships") with Abe Laboriel, Alex Acuna, Mitch Holder, Paulinho DA Costa, Jerry Hey, Bill Rickenbach, Ernie Watts, and several well known Brazilian musicians, for Opus-Columbia of Brazil. Returning to Brazil, Cesar produces another album for EMI-Odeon: the duet "Voz e Suor" ("Voice and Sweat") with Nana Caymmi (1984). This is an old project of his to combine what he considers the two most beautiful instruments: piano and voice. "To Cesar...," a special about Cesar's life, directed by Solano Ribeiro for TV-Manchete, wins the "Tucano de Ouro" prize at Fest-Rio. Gal Costa invites Cesar to arrange and co-produce another of her albums, "Baby Gal"; Cesar also continues making albums for MPB singers such as Elba Ramalho, Ney Matogrosso, João Bosco, Simone. Together with Wagner Tiso, Cesar participates in another duet on an album called "Todas as Teclas" ("All the Keys"), a first experiment using exclusively electronic keyboards. In 1985, with Nelson Ayres (piano and keyboards), Crispin DelCistia (keyboards), Azael Rodrigues (drums) and João Parahyba (percussion), Cesar creates his second instrumental music show, "Prisma" ("Prism") at the Bandeirantes theater in São Paulo, with computers, keyboards and digital equipment, this time used live. After a two-month run, Cesar produce an album of this show, also called "Prisma" and begin a two-year tour throughout Brazil. The show comes to be considered a high point in Brazilian instrumental music, acclaimed by both critics and public alike. As a result of his experience as organizer and participant in music festivals, in September of 1985 Cesar is hired by Globo-TV to direct the "Festival of Festivals," an important national festival intended to launch new talent. In 1988, Cesar signs a contract with Sony-Brazil and stages another show of instrumental music, with Dino Vicente keyboards), Luisão Maya and Pedro Ivo (bass), Azael Rodrigues and João Parahyba (percussion), Ulisses Rocha (guitar) and Pique Riverte (saxes and flute). The show, called "Ponte das Estrelas" ("Bridge of the Stars"), is recorded live, in 48 channels, and toured all over Brasil and Latin America. Cesar signs a contract with Manchete-TV in Rio to conduct the weekly program "Um Toque de Classe" ("A Touch of Class"), which becomes a ratings hit. This same year, Cesar records another solo album, "Mitos" ("Myths"), mostly with keyboards and a few invited musicians (Ivan Lins on vocals, Heitor TP on guitar, and Nico Assumpção on bass). Based on the musical idea and sound of this album, Cesar creates a sound track for the evening "novela" (prime-time nightly television broadcast nationwide) "Mandala" on Globo-TV, which enjoys great national and international success. In 1989, Cesar records another album with the same characteristics as the previous one: "Cesar Camargo Mariano" for the label Chorus-Som Livre. Cesar does the musical direction, soundtrack and arrangements for the musical "A Estrela D'Alva" ("The Morning Star"), about the life of one of Brazil's most important singers, Dalva de Oliveira. At the Montreux Jazz Festival, Cesar performs a duet with his friend, composer and guitarist João Bosco. Next, Cesar puts together an acoustic trio with Helio Delmiro on guitar and Paulo Moura on clarinet, and they travel to Spain for a ten-concert tour, playing traditional and modern Brazilian music. During the concerts in Spain, Cesar meets Leny Andrade and they come up with the idea of another duet with piano and voice. A year later, in 1992, they record together the album "Nós" ("Us"), produced by Cesar. The same year, Cesar produces and arranges the album "Coisas do Brasil" ("Brazilian Things") for Leila Pinheiro. Toward the end of 1993, Cesar produces and arranges an album for Beth Carvalho. TV-Cultura in São Paulo produces a special in Cesar's honor, directed by Alberto, Rushel, with most of the singers, composers, and Brazilian musicians with whom Cesar has worked during his career. Over the past two decades, Cesar has produced, directed and headed various other TV programs: "Cesar e Convidados" ("Cesar and Guests"), "Jazz Brasil-Cesar's Special," "Ensaio," and "A Tôdas as Amizades" ("To All Friendships") for TV Cultura; and "Wrap Around the World" for TV-Globo. Throughout these years, in between one project and another, Cesar never stops his solo piano concerts, developing and studying in order to to increase his piano technique. He signs a contract for two albums with PolyGram-Brazil. One is called "Natural" with keyboards and band (Marcelo Mariano on bass, Pantico Rocha on drums, Pique Riverti on sax, Walmir Gil on trumpet and Luis Carlos on percussion). With the second, titled "Solo Brasileiro", a piano solo recorded in Los Angeles, California, Cesar makes an old dream of his come true. In April of 1994, Cesar moves to the United States. That same year, he meets Sadao Watanabe, who invites Cesar to produce and arrange Watanabe's new album, "In Tempo," recorded in New York, with Marcelo Mariano (bass), Pantico Rocha (drums), Paulinho DA Costa (percussion), and Leila Pinheiro (vocals). Cesar gives a piano concert at the Blue Note club in New York, and travels to Japan for various appearances with Watanabe and his group. 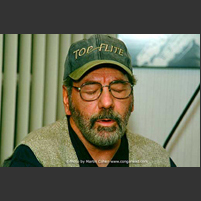 In New York, in 1996, Cesar gives a solo concert at the Ballroom, along with John Patittucci's group. Next, Cesar puts together a quartet consisting of Romero Lubambo (guitar), Leo Traversa (bass), and Mark Walker (drums), and they perform a tribute to Elis Regina at the Montreaux Jazz Festival, with special guests Milton Nascimento and Pedro C. Mariano. Returning from Montreux, Cesar produces and arranges four tracks for Ivan Lins's album, "Anjo de Mim" ("I'm Not Alone") in Brazil. At the end of the year, Cesar directs a Brazilian music show at Lincoln Center. He goes to Brazil for various concerts . In 1997, with his quartet, Cesar invites Michael Brecker (sax) and Dianne Reeves (vocals) to perform with him at the Heineken Festival in São Paulo and Porto Alegre, Brazil. Cesar then goes to Rio to arrange and direct an album recorded live with 24 renown Bossa Nova performers /singers/composers, "Casa DA Bossa" ("House of Bossa") for PolyGram, with an acoustic Brazilian quartet (Romero Lubambo on guitar, Nico Assumpção on bass and Theo Lima on drums). This same year, in Mexico, Cesar produces an album for PolyGram Latino with twelve Latin-American singers (Tania Libertad, Vikky Car, Emmanuel, Maria Conchita Alonso, among others) backed only by piano and keyboards, "Piano, Voz y Sentimento" ("Piano, Voice and Feeling"). While preparing his next solo album, Cesar does the soundtracks for two institutional films about Brazil for CNN International. In October, maestro and producer Ettore Stratta invites Cesar to join him in putting on the "All Jobim" concert at Carnegie Hall in New York. Acting as musical director and arranger for the concert, Cesar also performs alongside Ivan Lins, Leila Pinheiro, Dori Caymmi, Joe Lovano, Sharon Isbin, Eugene Maslov and Al Jarreau. Cesar does another album for Simone in New York ("Cafe com Leite"). Once again, Cesar is invited by Sadao Watanabe to produce and arrange his new album, "Viajando" ("Traveling"). In April, invited by Ivan Lins, Cesar puts together a duet program with Romero Lubambo on guitar, for a series of concerts in the "Brasil Musical" ("Musical Brasil") project, in Rio de Janeiro. Cesar goes to Japan as a special guest for various concerts alongside Sadao Watanabe, joined by Paulo Braga (drums), Marcelo Mariano (bass), Romero Lubambo (guitar), and Café (percussion). Among other projects in 1998, Cesar does arrangements for singer Ivete Sangalo and produces soundtracks for television commercials in Japan. Cesar performs a duet program with guitar player Romero Lubambo at Birdland in New York and at the Jazz Showcase in Chicago. In May 1999, invited by maestro Gil Jardim, Cesar participates in "Café com Leite" ("Coffee with Milk"), a gorgeous spectacle with the Brazilian Philharmonic Orchestra. After this concert, Cesar goes on a solo tour through Brazil. In September, Cesar is again invited by maestro Ettore Stratta to direct the "All Jobim" show at Carnegie Hall in New York. This time, participants include João Bosco, James Ingram, Simone, Michael Brecker, New York Voices, Paula Robinson, and the duo formed by Cesar and Romero Lubambo. Also in September, Cesar is invited to host a special program on Direct TV , "Som Direto" ("Direct Sound"), with guest artists Nana Caymmi, Ivan Lins, and Michel Legrand. In October and November, Cesar concentrates on string arrangements for Blossom Dearie's album, "Blossom's Planet" (Daffodil Records) and on arrangements for Romero Lubambo's album "Love Dance" (Aosis/JVC - Japan). Cesar also produces two tracks for the album "Kiroros" (Victor Entertainment/JVC - Japan). In January 2000 Cesar co-produces and arranges his son Pedro Mariano's second album "Voz no Ouvido". The album is nominated for a Latin Grammy in 2001 for Best Brazilian Contemporary Pop album. In July, as part of JVS's Jazz Festival, Cesar gives a piano solo concert at "Caviarteria" in New York City. Cesar records his new album "Nova Saudade" for Aosis - JVC Japan in August. Cesar goes to Brasil in September to perform with London Royal Philharmonic Orchestra, conducted by Maestro Ettore Stratta. In December Cesar goes to Japan for a number of concerts with Sadao Watanabe. He begins 2001 recording and arranging for artists like Johny Alf, Blossom Dearie, Kevin Mahogany, and Trio DA Paz, among others. The "Duo" (Cesar and Romero Lubambo) performs at Punta del Este Jazz Festival- Uruguay, Santa Fe Jazz Festival, and Bellayre Jazz Festival in U.S. In September Cesar is invited to perform at Carnegie Hall - NYC, "A Celebration of Brazil", along with Jane Monheit, Gal Costa, Filo Machado, Dori Caymmi, and Paula Robison. In 2002 Cesar arranges for Freddy Cole's new album, and features as special guest in Trio Da Paz's new album playing a Hammond b3 organ. Cesar goes to Brazil in April to Co-produce and arrange Pedro Mariano's new album, "Intuicao". In May Cesar records his new album, "Duo" together with guitar player Romero Lubambo, in New York. With singer Leny Andrade, Cesar goes to Brazil and Mexico, presenting the concert, "Nos." The sold out tour ended with a live DVD recording of the concert. In August Cesar records with cellist Yoyo- Ma for his new album. In September Cesar's album "Nova Saudade" is released in Brazil. 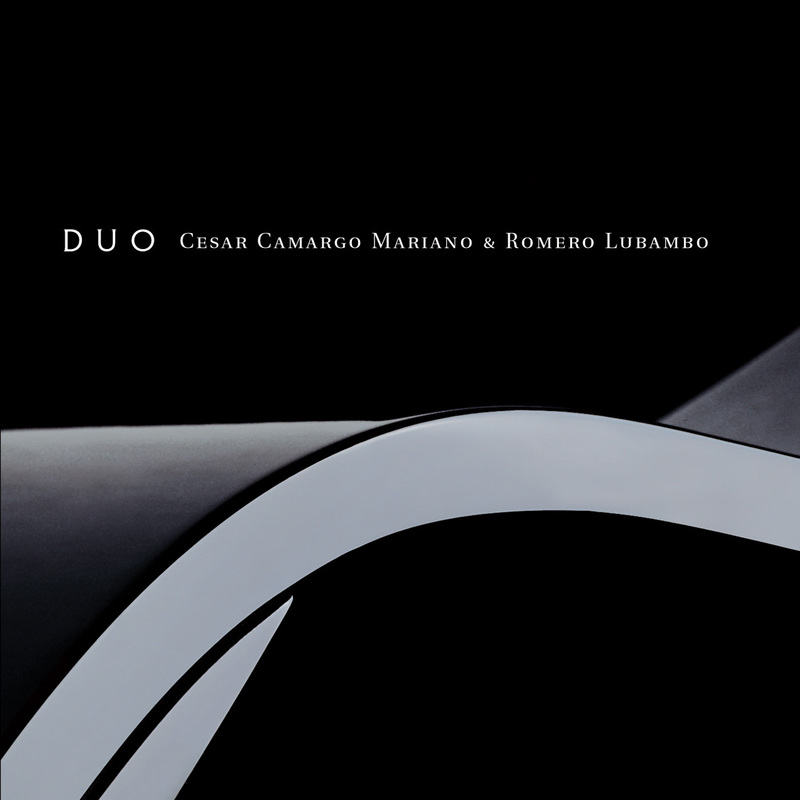 The album "DUO", with guitar player Romero Lubambo is released in December in Brazil, followed by a sold out tour, in March 2003.